This book presents advanced energy analysis tools for the design and operation of plants co-producing power and desalted water, at higher efficiency and lower cost. It is published by Eolss Publishers Co Ltd in 2003. 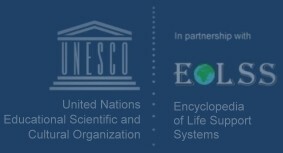 It integrates contributions by several experts with rich experience in the various aspects of power and desalination. The book is motivated by the growing importance of integrated power and desalination plants in general and in their respective regions in particular, and the long felt need for an authoritative book on the subject. 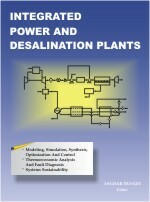 After a long gap of more than two decades following the publication of "Principles of Desalination" Spiegler and Laird in 1980, this book would be a welcome addition to the literature in the field to serve as a valuable guide and reference to all those who are concerned with the integration of power and desalination plants. It will also serve as a valuable source of information to those in the processing industry in general.